Farrar, Straus and Giroux, 9780374273217, 192pp. I was puzzled by how I had changed. But I could no longer go back . . . It is spring. A young woman, left by her husband, starts a new life in a Tokyo apartment. 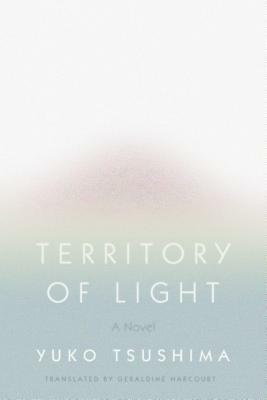 Territory of Light follows her over the course of a year, as she struggles to bring up her two-year-old daughter alone. Her new home is filled with light streaming through the windows, so bright she has to squint, but she finds herself plummeting deeper into darkness, becoming unstable, untethered. As the months come and go and the seasons turn, she must confront what she has lost and what she will become. At once tender and lacerating, luminous and unsettling, Yuko Tsushima’s Territory of Light is a novel of abandonment, desire, and transformation. It was originally published in twelve parts in the Japanese literary monthly Gunzo, between 1978 and 1979, each chapter marking the months in real time. It won the inaugural Noma Literary Prize. Yuko Tsushima was born in Tokyo in 1947, the daughter of the novelist Osamu Dazai, who took his own life when she was one year old. Her prolific literary career began with her first collection of short stories, Shaniku-sai (Carnival), which she published at the age of twenty-four. She won many awards, including the Izumi Kyoka Prize for Literature (1977), the Kawabata Prize (1983), and the Tanizaki Prize (1998). She died in 2016.